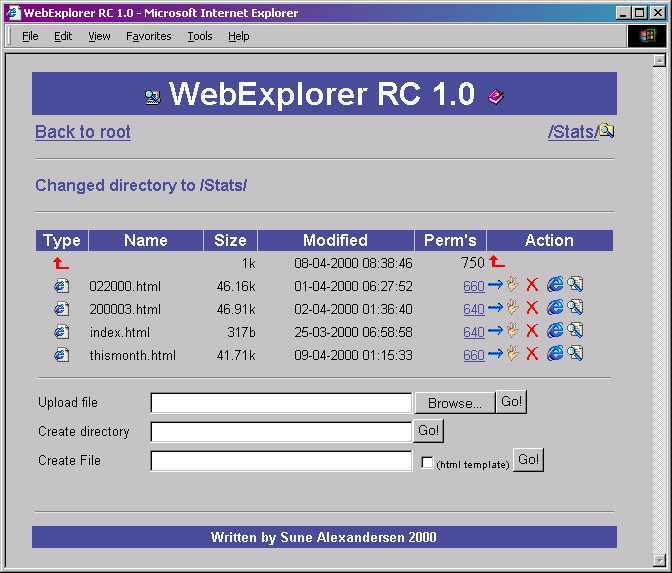 WebExplorer is a Windows Explorer style file manager through your webbrowser, but don’t let the “Windows part” of it scare you away! Just upload the file to your designated “admin” directory on your PHP enabled website, edit the variable $basedir to reflect your website, and off you go!! This application lets you edit, browse, CHMOD, view, move, rename, copy, and create files/directories in any forms/tables enabled browser. 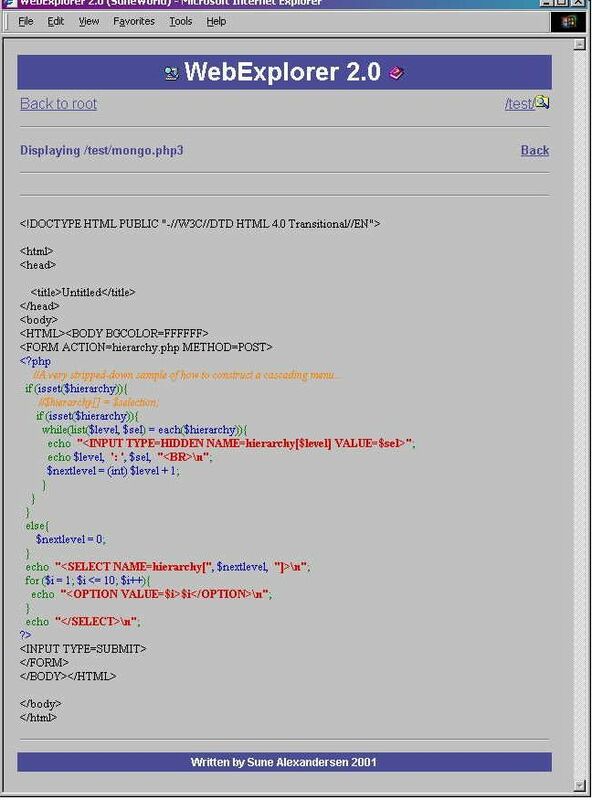 You even have the option to create html skeleton-files. 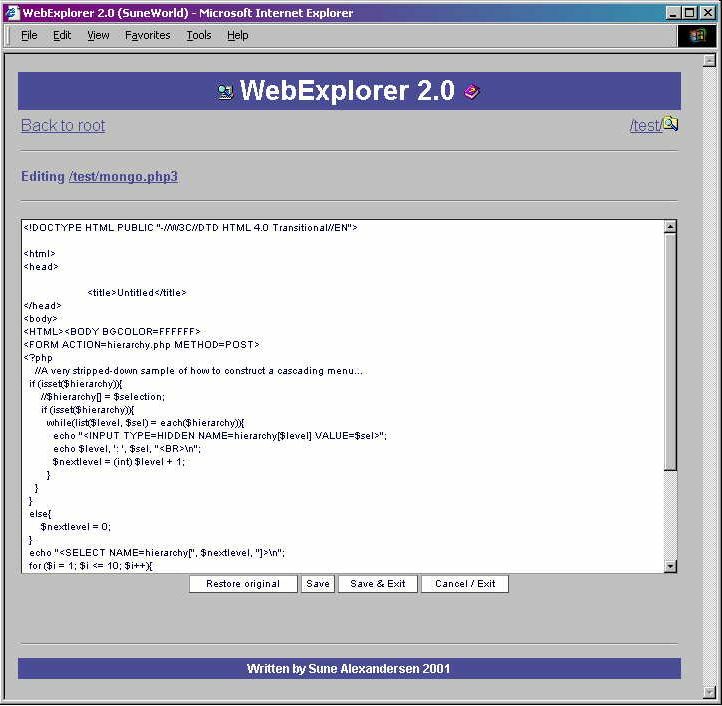 I haven’t done any work on WebExplorer since 2002 so it can be considered abandonware. But feel free to use. 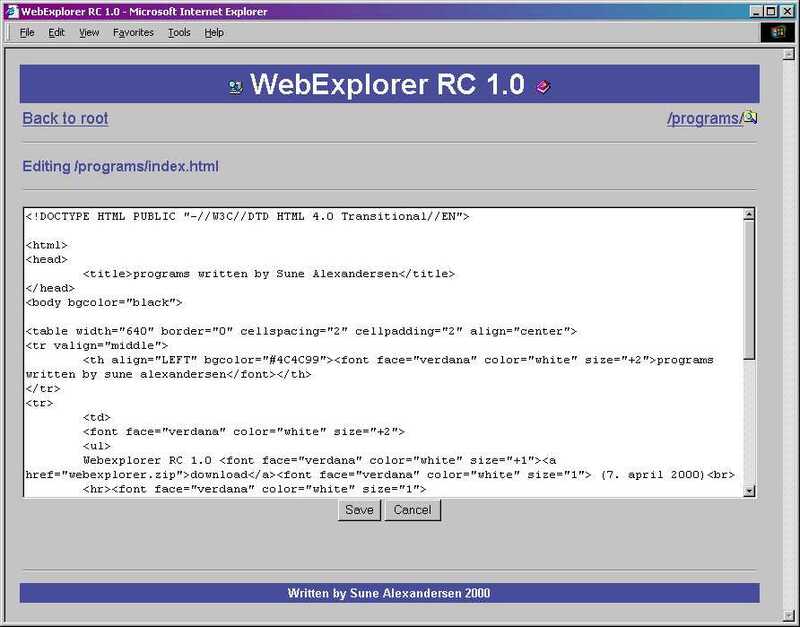 WebExplorer does not have any “built in” authorization function. Use HTAccess or similar for this. Can you develop blah blah or make WebExplorer do yaddayadda? Lost track a long time ago… I’d guess around 35 000. 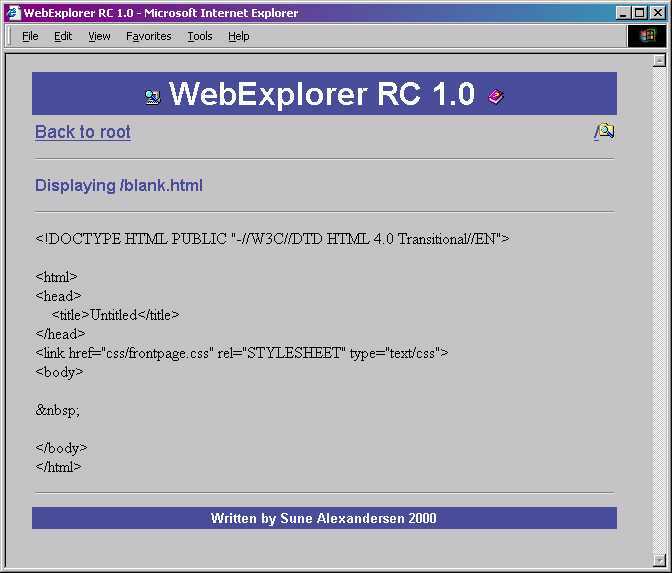 This entry was posted in WebExplorer and tagged php on 14/06/2012 by suneworld.